Liquefied Petroleum Gas (LPG) is the most widely used alternative to petrol and diesel in Europe. As demand increases for greener fuel at an affordable price, more and more fuel retailers are taking the decision to offer LPG refuelling. It can be expected that LPG will only increase in popularity with the focus on greener fuels. With a full range of LPG dispensers available, fuel retailers can mix and match models and configurations, while maintaining a uniform image across all alternative and conventional fuel dispensers. 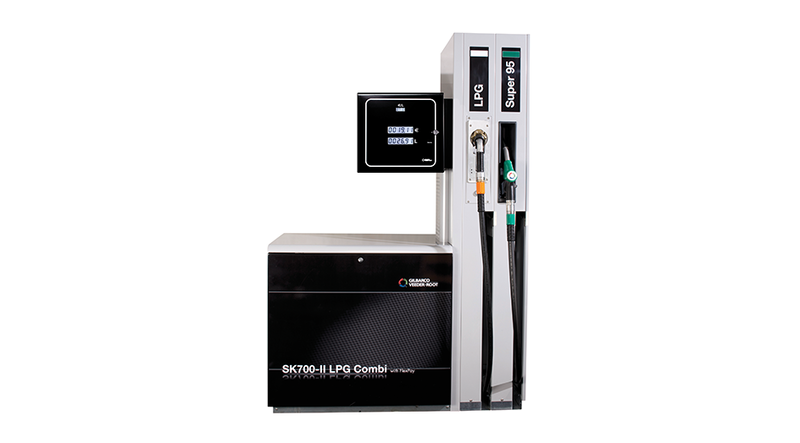 In addition, with the SK700-II Combi, it is possible to deliver LPG alongside other fuel grades from the same dispensers. The range comprises LPG dispensers for both island and lane oriented fuelling, with standalone and combi versions available to suit all customer needs. All dispensers in the SK700-II LPG range are ATEX and MID approved as well as being tested and sealed at Gilbarco Veeder-Root’s own facility before shipment. This ensures that when the dispenser arrives at the forecourt it is approved and ready to use. Other LPG products from Gilbarco Veeder-Root include Red Jacket Premier LPG submersible pumps, TLS LPG tank gauging and FlexPay™ payment which can be combined with the SK700-II LPG dispensers in a seamless system. Reliability and safety remain uncompromised with Gilbarco Veeder-Root’s field proven LPG hydraulics design with electronic meter calibration, highest quality LPG breakaway couplings, hoses and nozzles. The only LPG dispenser on the market that comes with internal hose management with retraction as standard. This ensures an improved look, better hose handling and longer hose lifetime. An external hose with retraction is also available as an option. Built with the highest quality, zinc coated sheet metal for an improved, rust free look that guarantees a longer and damage free life. Stainless steel execution is also available as an option. Thorough tests, including pressure testing at Gilbarco Veeder-Root’s manufacturing facility in Germany, guarantee highest quality and safety, ensuring peace of mind and low lifetime costs. Each SK700-II LPG dispenser comes complete with MID factory certification and sealing, so it is easier and cheaper to install on site. 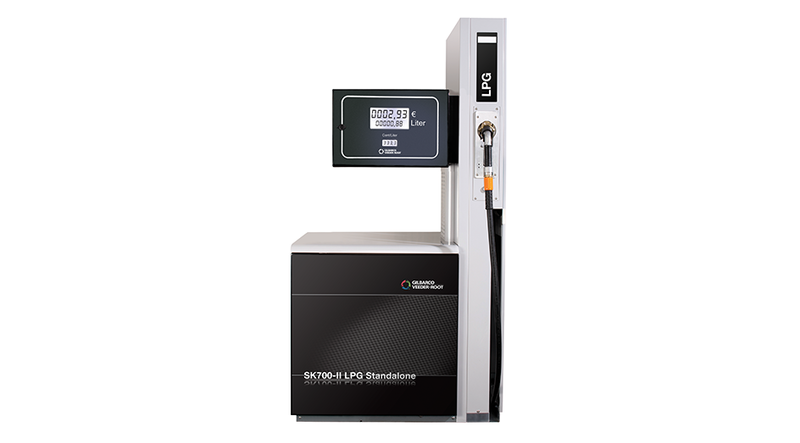 The SK700-II LPG is one of the many modular designs available with the SK700-II series, so it fits seamlessly with the rest of the systems and solutions on your forecourt. It provides for a range of options, such as Automatic Temperature Compensation (ATC), emergency stop button and preset keypad.